The ultimate baseball book—1020 pages of your favorite baseball players’ adventures. 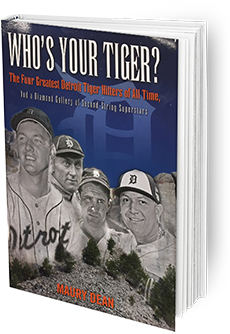 Dean’s “colossal achievement” (Detroit News’ David Good) celebrates primarily 50s Hall of Fame icon Al Kaline, millennial #1 superstar Miguel Cabrera, top batting-average hitter of all time Ty Cobb, and Bronx-born slugger Hank Greenberg. 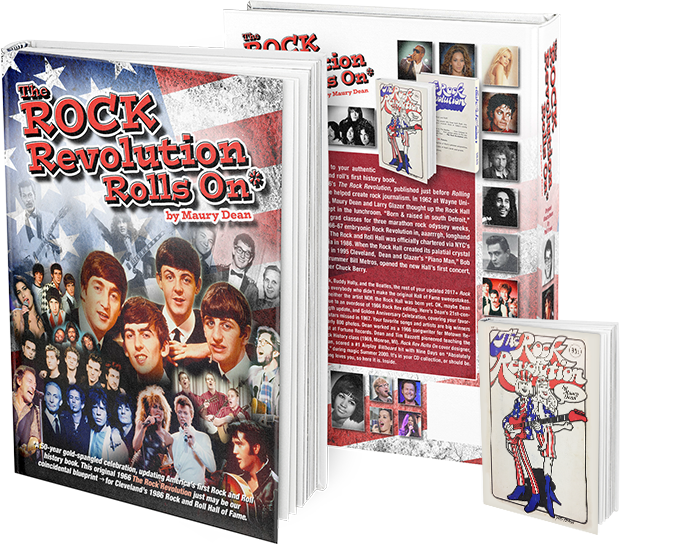 After fifty years, including forty-something of Dean teaching History of Rock at the college level, Dean decided it was time for another Rock Revolution. Sparked by gleaming arrays of exclusive photos from the inner circle of rock concerts, as well as standbys like NYC’s Photofest (plus a few of Dean’s own impromptu pix), The Rock Revolution Rolls On covers the whole teeming domain of a century of rock and roll. *This vintage Rock Revolution 1967 cover by Phil Frank will comprise a portion of designer Jeremy Dean's new Rock Revolution Rolls On cover. The music never died. 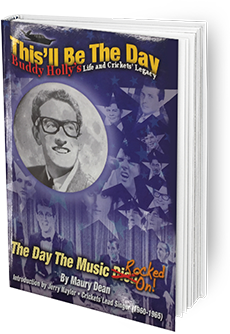 Writer Maury Dean shows that Buddy Holly and the Crickets are the most important rock-band pioneers of all time. Holly's Crickets influenced (perhaps invented) the Beatles, Bob Dylan, and the whole concept of a rock and roll band. This'll Be the Day is foremost a love story between Texan singer/songwriter Holly and his bride Maria Elena. This 2nd edition features a Cricket's introduction and 100 additional pages. Maxwell Hunter Publishing began late in the last millennium, as a consortium at Suffolk College in New York, inspired by: the O. Henry Award novels (The Streets of Paradise); short stories of Anthony DiFranco; non-fiction expertise of Laurence Epstein (The Haunted Smile: The Story of Jewish Comedians in America); plays of Edward Eriksson; poetry and short mystery novels of Chuck Anderson; Beat-Generation-infused poetry of boxing and baseball poet Fred Byrnes; poets Vince Clemente, Bill O'Brien, Matt Rodman, and David Axelrod; and writing professors John Gill, Sam Ligon, and Feliz Turhan. 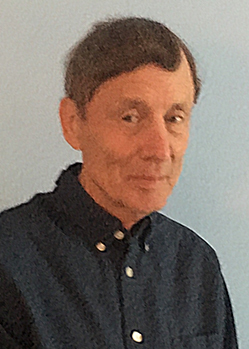 Dean, a University of Michigan Hopwood Writing Award Winner, joined Maxwell Hunter with his nationally-known 2003 Rock 'N' Roll Gold Rush—A Singles Un-Cyclopedia (later published on New York's Riverside Drive by Algora). It is still available. 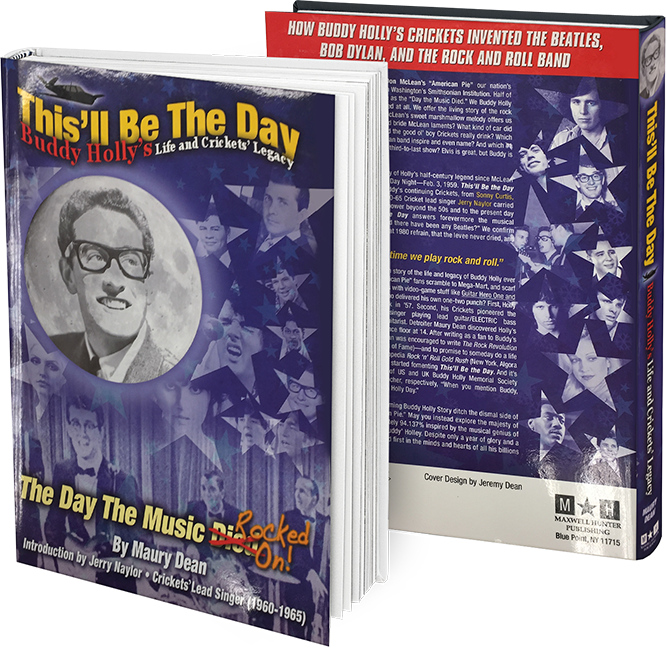 Maxwell Hunter now specializes in all forms of popular literature, from biographies to sports to music—including Dean's '09 well-known life of Buddy Holly: This'll Be the Day. Buddy's Crickets were the inspiration for the BEATLES' name. 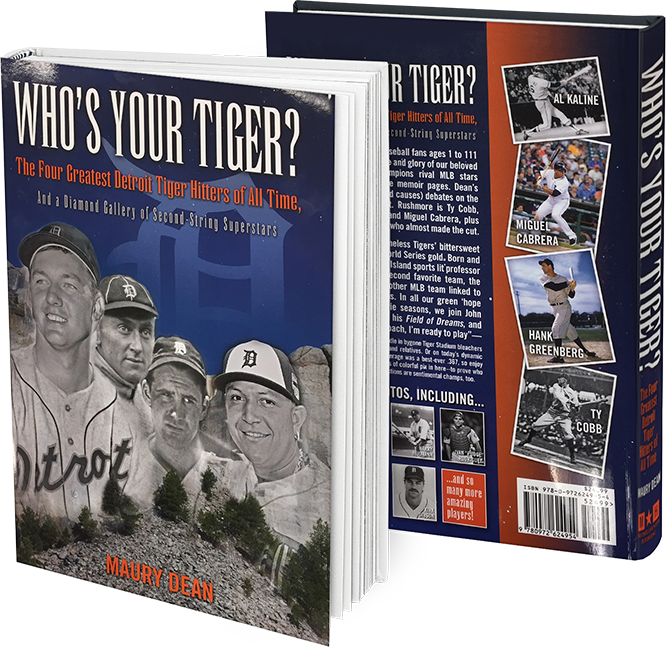 Dean's current baseball opus is Who's Your Tiger? The Detroit Tigers’ Four Greatest Hitters of All Time. It champions New Yorker Hank Greenberg, plus classic sluggers like Al Kaline, Ty Cobb, and current champ Miguel Cabrera (May 2017). On deck, Maxwell Hunter presents a 2018 golden 50-year retrospective on the very first rock history book, now in Cleveland's Rock and Roll Hall of Fame—Maury Dean's The Rock Revolution (Edmore, Detroit, 1967), when Dean was almost still a teenager. 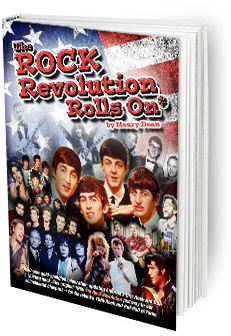 This upcoming historical and current rock odyssey, The Rock Revolution Rolls On, outsizes even the 1020 pages of Who's Your Tiger? You are guaranteed to find favorite ballplayers and songs within, that you may want to know more about, so thank you for checking out Maxwell Hunter.